Interstate Partners’ team has expertise in identifying land sites as well as existing buildings for acquisition and development/redevelopment. Interstate Partners’ local knowledge enables it to assemble a team of well-qualified local architects, engineers, and contractors that work in unison with city officials to obtain all of the necessary entitlements for development of potential sites. Interstate Partners has the in-house capability to perform state-of-the-art detailed economic analyses to indicate NOI, cash flow, pro formas, rate of returns, values and virtually any other investor information desired. 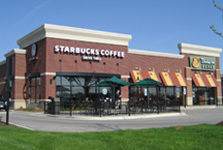 Interstate Partners’ capabilities include both land planning and building design. Our design capabilities for premier Class A buildings have been recognized by NAIOP, which selected seven of Interstate Partners’ buildings for “best new building in its class” awards the year they were constructed. Interstate Partners has managed the construction or improvement process from start to finish of every building in our portfolio. 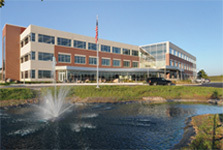 Interstate Partners has direct relationships with multiple general contractors and sub contractors and enjoys a strong reputation with the building trades in every market. Interstate Partners’ leasing team locates quality tenants while providing superior service when the tenant takes occupancy. Interstate Partners has the ability to oversee the overall management of the development process as well as asset/property management when the building is complete. Through multiple dispositions of buildings in our portfolio, Interstate Partners has shown the ability to identify prospective buyers and fully negotiate and complete transactions.